Forward thinking homes is the entire premise of Millstone Homes of London. Bringing to London Ontario new construction homes, neighborhoods and communities far beyond what London Ontario real estate has ever seen before. Renowned for character and modern design, Millstone Homes of London takes new construction to the next level. Tip toe through the quiet community of Byron and you will find The Alcove. A never seen before community that rivals the modern architecture that can be found in Los Angelos or Beverly Hills California. The most recent location of the dream lottery, homes in this private enclave are breathtaking to say the least. Only 11 lots that are more then meets the eye. Pool sized, private, and treed. This iconic development brings design and architecture far beyond the time. Nestled up on the top of the hill in Byron, Wickerson Heights and Wickerson Hills started close to a decade ago. In this community as well, Millstone Homes of London erected stunning luxury. Building continues here with homes and lots backing on to or within very close walking distance to Boler Mountain. 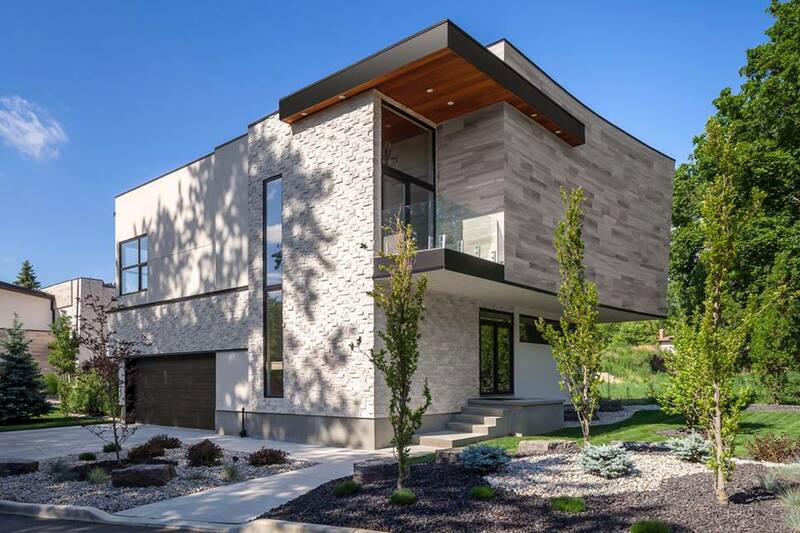 The reach of this remarkable home builder in London Ontario is not secluded just to the southwest corners of the city. SilverLeaf Estates is the newest creation where you will find the momentus designs of Millstone Homes as well. This location is near Lambeth. Expansive lots and luxury homes are what you will find here. True to the vision of Millstone Homes of London, you will only find select builders in this location. Allowing for conformity of style and design. Homes of distinction are hard to come by, that is why London Ontario is a fortunate city to have such options offered here. In the first round of dream home lotteries in fall of 2017 two spectacular homes were built on of which is still available in the golf course community of Highland Hills. This home offers something fresh from Millstone Homes of London. A french inspired kitchen with modern and traditional twists. Situated on a lot that is a stones throw from the Highland Golf and Country Club. A premier club in the city of London. If you are considering building a home in London Ontario and looking for something unique and breath taking, Millstone Homes of London is the obvious choice. Many have tried to duplicate the designs but no other has been able to match the unparallelled quality and style ahead of its time. Learn More about Millstone Homes of London by contacting The Agency Real Estate Brokerage.